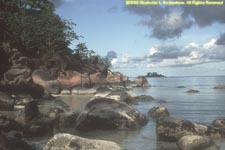 Praslin is the second largest island in the Seychelles, about 7 miles long by 5 miles wide, covering 14.3 square miles. It lies 28 miles northeast of Mahe. 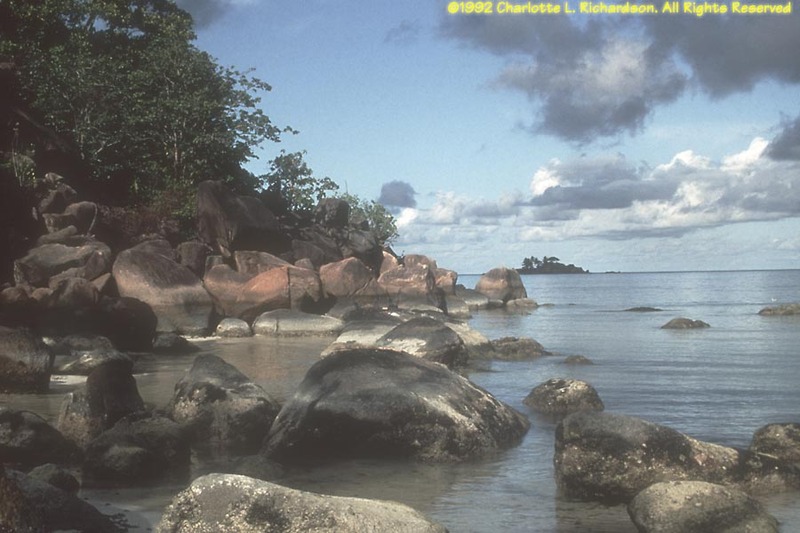 The bedrock is reddish-grey granite with alkali feldspars. The highest point is 1200 feet. 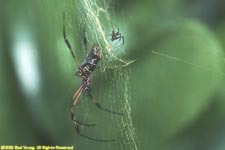 Praslin has about 4500 inhabitants. 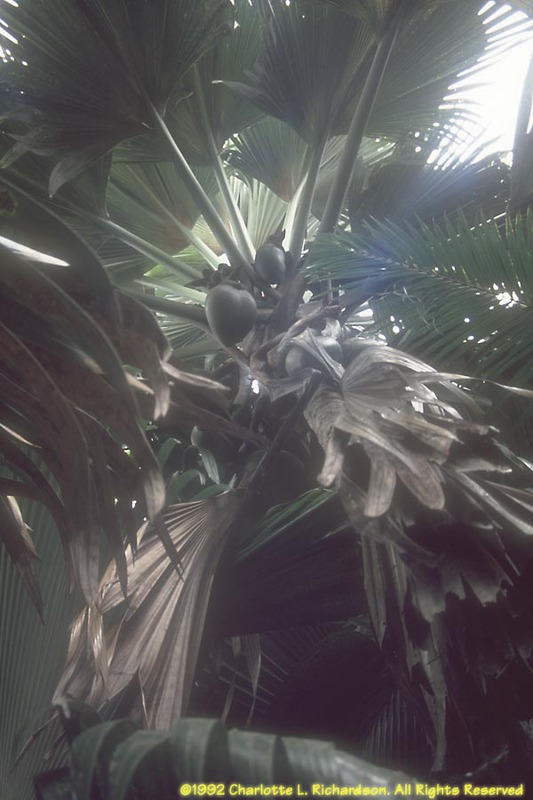 Praslin's Vallee de Mai National Park, the Seychelles' second World Heritage Site, is the home of coco-de-mer palms, Lodoicea maldivica, which bear the world's largest vegetable seed. 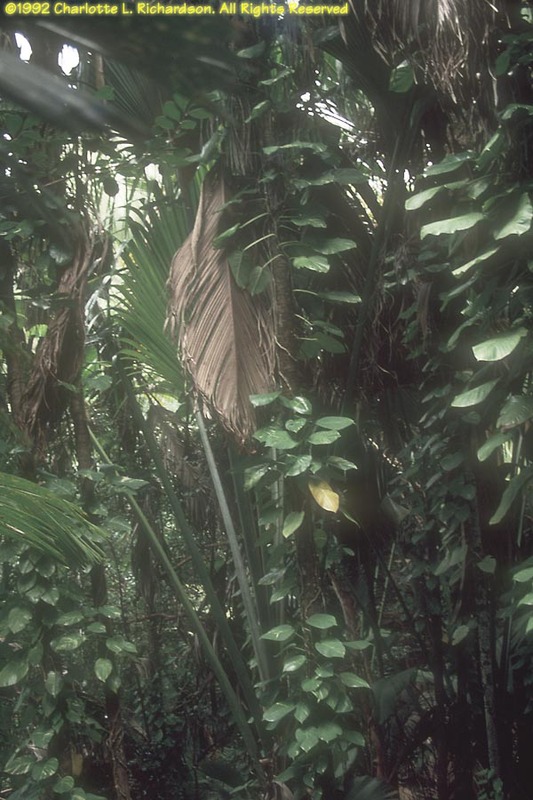 Between four and five thousand of the trees are found in the park's ravine. 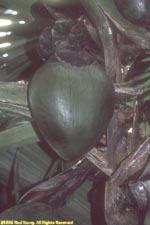 The huge double coconut resembles a woman's pelvis, and weighs 30 to 40 pounds. 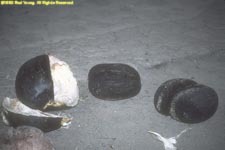 The heavy fruit sinks in salt water. The seed takes three years to germinate. The leaves of young palms grow up and outward from the ground as giant fans several yards across. 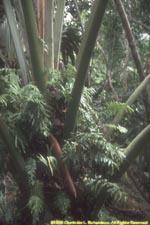 Older plants have fan-shaped, long-stemmed leaves. 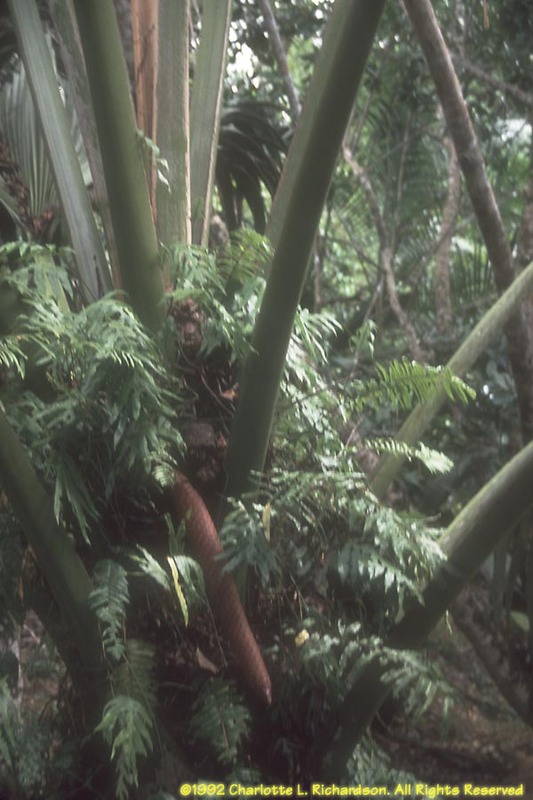 The tree does not reach its full height of 130' until it is several hundred years old. 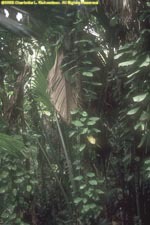 The less-common male trees are larger. 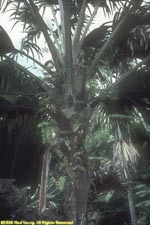 The female trees bear three to five of the huge nuts. Praslin is also the last refuge of the black, Praslin, or Seychellois vasa, parrot, locally called kato nwar, Coracopsis barklyi, which is actually dark grey-brown. ©2009, 2014, 2016, 2018 Mermaid Underwater Photographic. All Rights Reserved.